In the advent of the age of the mobile phone, the proliferation of the functional uses of such have created a conundrum for law enforcement who seek information during investigations. The issues surrounding the Constitutional rights of citizens versus the necessity of law enforcement to gain quick access to information is nothing new; however, the right to privacy has most recently come into direct clash with the efforts of police to gain access to information that is contained on mobile devices. Increasingly, mobile phone manufacturers have come up with new and innovative ways to preserve the privacy of their consumers by including features to secure devices using biometric processes in addition to numerical codes. Now your fingerprint or even your face can be used to secure your mobile device. With such new technology comes challenges to determine the line in the sand between a person’s rights and what a law enforcement officer can ask in order to gain access to your phone. In a previous blog post, the need for a search warrant in order to gain access to a mobile phone was considered. The Supreme Court in Riley v. California, No. 13–212, 728 F. 3d 1 (2014) and its companion case United State v. Wurie, wrestled with the decision as to whether a search warrant was needed to conduct a search of a person’s mobile phone. The long-standing ruling in Chimel v. California, which afforded police the ability to search items on a person based on the premise of officer safety and the preservation of evidence, was overturned when the item was a mobile phone. In Riley, Justice Roberts distinguished a mobile phone from any other types of evidence by saying, “[T]he United States asserts that a search of all data stored on a cell phone is “materially indistinguishable” from searches of these sorts of physical items… That is like saying a ride on horseback is materially indistinguishable from a flight to the moon. Both are ways of getting from point A to point B, but little else justifies lumping them together.” The concern of the Court was the vast amount of information on a mobile phone. A warrant would necessitate language narrowly construing what law enforcement could look for, as opposed to a fishing expedition. So now that warrants are required, the question that remains is how can law enforcement circumvent the security protections that mobile phones come integrated with to protect the information thereon? At the inception of the smart phone, the security measures were limited to a passcode, a user provided set of four to six numerical digits that, when entered, provided access to the contents of the phone. As technology progressed, fingerprints and facial recognition have provided an even greater and more expedient way to protect a phone’s contents, albeit with a passcode back up option should the other methods fail for whatever reason. In recent times, once a warrant was secured, police would force an individual to reveal the passcode, perhaps invoking Miranda issues that have largely been struck down by as the passcode was not a statement against interest intended to be used against them in court. Ultimately, however, a person could refuse to state their passcode and little could be done to force their compliance. In order to combat the reluctant party, law enforcement turned to technology to break the encryption on mobile devices. At one point, a company developed a tool called GrayKey, that could actually break the encryption on the most secure of devices, the Apple iPhone. The box cost $15,000 and was sought after by the legal powers that be everywhere. Apple’s answer to GrayKey was to develop a new technology that turned off the data/charging port after one minute, disallowing access by anyone who did not have the passcode to access the phone. In a short matter of time, Apple made the $15,000 GrayKey an expensive paperweight. Even if probable cause exists to seize devices located during a lawful search based on a reasonable belief that they belong to a suspect, probable cause does not permit the Government to compel a suspect to waive rights otherwise afforded by the Constitution, including the Fifth Amendment right against self-incrimination.^ The Fifth Amendment provides that no person “shall be compelled in any criminal case to be a witness against himself.” U.S. Const, amend. V. The proper inquiry is whether an act would require the compulsion of a testimonial communication that is incriminating. See Fisher v. United States, 425 U.S. 391, 409 (1976). Id. Courts that have addressed the passcode issue have found that a passcode cannot be compelled under the Fifth Amendment, because the act of communicating the passcode is testimonial, as “[t]he expression of the contents of an individual’s mind falls squarely within the protection of the Fifth Amendment.” See Doe v. United States, 487 U.S. 201, 219 (1988) (Stevens, J., dissenting) (citing Boyd v. United States, 116 U.S. 616, 633-635 (1886); Fisher v. United States, 425 U.S. 391, 420 (1976)); see also United States v. Kirschner, 823 F. Supp. 2d 665, 669 (E.D. Mich. 2010) (citing Doe, 487 U.S. at 208 n. 6); Com. v. Baust, 89 Va. Cir. 267, at *4 (2014). Id. The Court extended the 5th Amendment protection of testimony against oneself past verbal and written communications to acts; however, distinguished certain acts whereby blood samples or submitting to fingerprinting, as those that make the “suspect or accused the source of the ‘real or physical evidence’ does not violate it.” Schmerber v. California, 384 U.S. 757, 764 (1966). In the case of mobile phones, the person is not the source of the evidence, the phone is. Forcing an act to reveal information from a phone is distinguished from forcing a person to reveal information about oneself. As in any case, the Court suggests that the government use warrants to obtain the information in a way that does not “trample on the Fifth Amendment.” In the instant case, the Court suggested that the messages could have been obtained by issuing a warrant to Facebook for the Messenger communications. In an increasingly technological age whereby innovation is outpacing the law, courts are now tasked with increasing invasions on the rights of the people to their privacy. The impossible task is making rulings that foresee the future to avoid the incremental decisions that clog their dockets and take sometimes years to resolve. It is important to understand that this ruling is by a single Federal Court in California and that, although inevitable, the Supreme Court has yet to rule on this matter. If you need legal representation or consultation related to a search of your cell phone, call us right now at 605-338-9711. Together, we can evaluate and discuss your legal rights and responsibilities and options. Here’s a great info graphic shared to us by CarInsuranceComparison.com. Is Hiring a Personal Injury Attorney Worthwhile? Every year people are involved in car accidents that cause personal injury to themselves or personal family. Many are unaware that they can receive compensation for accidents that are not their fault. A car accident attorney in Sioux Falls can provide valuable assistance in helping accident victims receive the compensation they need to pay for property damage, medical expenses and loss wages due to being unable to work during recovery. Here are some ways in which a personal injury attorney can contribute toward a favorable settlement in a car accident case. In a serious accident, vehicle damage can be great. In some instances, cars may be declared total losses. People who rely on their vehicle for daily transportation will need to get it replaced right away. In accidents that are not their fault, a driver’s insurance company should cover the cost of repairs or loss. Sometimes, however, the insurer’s settlement is insufficient to cover all the damage that has been done. This leaves victims with no option but to pay out of pocket to complete repairs, even though the accident was not their fault. A qualified attorney can help victims recover their losses. By filing a claim against the insurance company of the person who caused the accident, an attorney can help victims reach a favorable settlement to compensate for property damage done to the victim’s car. In the event of serious personal injuries, having an attorney will be an asset in getting compensation for medical bills and loss of wages that extend beyond the victim’s car insurance policy. An experienced attorney can help accelerate a victim’s claim against the perpetrator of the accident so he or she can get the medical services he or she needs. Accident victims should also get reimbursement of the funds they spend out of pocket to pay for medical costs. An attorney can also help victims receive compensation for “general damages” a victim may suffer due to the accident. Sometimes a single injury can have repercussions that remain long after the injury is healed. Victims deserve to be compensated for pain, suffering and any other negative repercussions that result from an accident caused by someone else. Working with a qualified car accident attorney will make a tremendous difference in reaching a favorable settlement for a vehicle accident claim and getting the compensation victims seek for car accidents that are not their fault. No one wants to experience an injury requiring the services of a personal injury attorney in Sioux Falls. But a person may suddenly experience an accident caused by negligence. When another person or business is responsible for a person’s injuries, the victim has a legal right to receive representation by a qualified lawyer. Many people experience accidents caused by others but they neglect to consult with a lawyer about the situation. Victims may think that receiving a settlement from the other party’s insurance agency is the only way to receive proper compensation. Personal injury victims should never rely solely on the determinations of an insurance agent who has ulterior motives. The insurance company is not going to compensate a victim in the same way that a court provides compensation. When a person wants to make sure he or she has explored all legal avenues, speaking with a personal injury lawyer is of paramount importance. While some lawyers demand retainer fees before representing clients, personal injury attorneys walk on different legal pathways. Instead of asking for a retainer fee, the personal injury lawyer will ask a client to sign a contract in which the injured party agrees to compensate the attorney upon winning the lawsuit. If the lawyer fails to win the case, the client is not required to pay back any of the monies used during the legal process. In the meantime, the client may receive funds to help pay for pressing bills. A victim should never miss out on the chance to receive legal representation because of financial worries. The person who does not hire an attorney will never receive money other than the amount given by an insurance company. On the other hand, contracting with a qualified lawyer may entitle the injured person to additional funds that far surpass those provided by the negligent party’s insurance policy. A person who hesitates too long after incurring a personal injury risks exceeding the statute of limitations time limit for filing a lawsuit. A victim should make an appointment with a lawyer right away. A personal injury attorney in Sioux Falls will provide the prospective client with a free consultation. A person who has experienced a traumatic brain injury may require the legal services of a disability attorney in Sioux Falls. A traumatic brain injury can leave the person with short-term memory loss that interferes with learning tasks at a job. If the person gets hired to work at a company and loses the job as a result of the deficit, the individual has a right to apply for Social Security disability benefits. A person on a limited budget who does not have a great deal of savings may qualify for Supplemental Security Income (SSI) benefits. The individual who has managed to work for several years may have earned enough quarters to qualify for Social Security Disability Insurance (SSD or SSDI) benefits. In either case, the application process is often lengthy and complex. A person who is having difficulties meeting the governmental demands for qualification may need to consult with a disability lawyer. The applicant first needs to fill out an application. The person can fill out and submit the forms online or visit a local Social Security Administration office in person. Next, the Social Security Administration employee will instruct the applicant about things he or she needs to do to satisfy the initial requirements. The person may need to fill out a form showing all earned income for the past several years. The applicant is asked to provide recent medical records from a physician confirming the disability and its deficits. But this paperwork is not the end of the process. Unless the applicant can provide copies of written medical records occurring during the previous three months, the person will need to visit designated physicians for previously arranged medical examinations. The applicant must keep the examination appointments or risk being denied benefits. The only exception is if the person has a serious emergency situation or a medical appointment with his or her own personal physician. After visiting the doctors for mandated Social Security Administration medical tests, the Disability Determination Service department (DDS) will make a determination as to whether the applicant is qualified to receive benefits. An applicant who has concerns about possible denial of benefits should consult with a disability attorney in Sioux Falls for a professional opinion and possible legal representation. When applying for disability benefits, this often requires the help of a disability attorney in Sioux Falls, South Dakota. It isn’t easy to qualify for benefits, and social security will deny applications for any number of reasons. When applying to receive social security disability benefits, the experience of a disability lawyer will help the applicant greatly. An application for disability benefits can’t be done halfway. The application must indicate what the disability is that is preventing one from working, and all treatment providers must be listed on the application. Contact information for all providers is essential, and approximate timeframes for treatment with each provider is helpful to social security when evaluating a claim. Missing information can make a claim invalid, and social security can deny the claim because of an incomplete application. When applying for disability benefits, it must be clear to social security that one is in treatment for the disability. Claimants have to show that they are trying to heal, and trying to get back to work. When claimants are in treatment for their disability and they have reached a medical end result, it is up to their providers to state this effectively to social security. The more consistent the treatment is, the more a treatment provider will be able to provide useful information to the social security administration. While a person can have any number of diagnoses, it has to be evident to the claim reviewer that the disability is presently causing the individual problems. By going to treatment providers and asking for help, claimants have a better chance at proving they are disabled. While it can get frustrating to continually ask for help and not see any improvement, avoiding the doctor will make it nearly impossible to prove that the disability in question is inhibiting one’s ability to maintain gainful employment. Obtaining disability benefits isn’t easy, and the help of a qualified disability attorney in Sioux Falls, South Dakota is often necessary for claimants to get the benefits that they deserve. An attorney can help one navigate the complicated waters of the disability claims process, and help fight through any appeals process that may be necessary. It is possible to gain benefits, but only after an extensive process. When one is hurt on the property of an individual or business, determining negligence generally requires the help of a personal injury lawyer in Sioux Falls, South Dakota. While it’s possible for the individual to try and negotiate with the insurance company on their own, it is very likely that the payout will be much lower than if a lawyer negotiates instead. If the person injured was acting outside the norms of behavior, jumping off a roof for example, then the person who owns the property is unlikely to be liable for their injuries. If the person was walking down a path that wasn’t lit properly, and they fell on something that shouldn’t be there, then liability is more likely to be proven. When a person gets hurt on a property because the property has not been kept up or maintenance has not been completed, the owner will be liable for injuries. As long as one is an invited guest on a piece of private property, or visiting a public arena, the person or business that owns the property will be liable for any reasonable injuries sustained while visiting the property. If a person is tresspassing and gets injured, their claim loses its validity. It is impossible for a property owner to protect visitors from injury if they don’t know that they are going to be there. When one has a legal right to be on the property, the property owner assumes liability for any injuries that may occur. When considering a personal injury lawyer in Sioux Falls, South Dakota, it’s important to remember to go with experience. This is a field that requires dilligence to the rules and regulations of filing a personal injury lawsuit, and an attorney without this type of experience is going to take more time to work on the case. When time is of the essence, an attorney that knows the ins and out of a personal injury lawsuit is essential. When one has a potential case, it’s important to meet with a qualified attorney for an initial consultation. This way, the attorney can look over the case closely, and determine if the case has merit. All paperwork should be brought to this appointment in order to give the attorney adequate information. What Is an Injury Lawyer? An injury lawyer in Sioux Falls focuses on serving the needs of people who have fallen victim to personal injury. Typically, an injury lawyer’s clients are those who have been injured by the action, inaction or neglect of another individual or commercial entity. 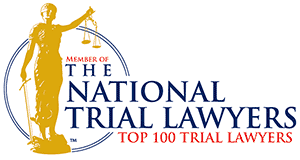 These are highly trained legal professionals who are skilled in their particular branch of the law. An injury lawyer spends his or her time taking care of all aspects of a legal case surrounding a personal injury. This begins with evaluating cases and interviewing clients to determine if a client has an argument. If a case has merit, the lawyer will identify the issues and file the complaint. Once the complaint is filed, the lawyer will negotiate with the opposition, counsel the client about the case and provide legal advice. If the case needs to go to court, the lawyer will represent the client. However, in many cases an injury case can be settled outside of court with the right lawyer on board. The lawyer also has the responsibility to follow a strict standard of ethics when handing a case, while also conforming to state and federal law. For a personal injury lawyer to practice law, the lawyer must pass a written bar exam in the state of practice. Some states also require a law degree and a four-year undergraduate degree. For some states, a Multistate Bar Examination is required in addition to the state bar exam. After passing the bar, the lawyer will be “admitted to the state bar.” This then requires ongoing continuing legal education courses in order to remain certified. Each state has a specific number of CLE hours required per certification cycle. Most injury lawyers will focuses their practices entirely on injury cases, allowing them to delve deeply into the legalities of this type of law. Lawyers can then pursue certification in injury law through the American Bar Association, allowing them to claim a higher level of knowledge to potential clients. Regardless of the level of certification chosen, injury lawyers provide a valuable service to clients suffering from an injury. These professional allow injured individuals to get the compensation they deserve, so they can move forward with life after a serious injury. Are Parents Responsible for Auto Accidents of Their Teenagers? Under the laws of South Dakota, parents may be liable for the acts of their children, if the children are under the age of 18-years old. In South Dakota a “parent,” is any adult with legal custody of the minor child. Foster parents are specifically excluded from any liability for harm caused by foster children (S.D. Law section 25-5-23.1), unless the foster parents have some culpability for the actions of foster children under common law rules as explained below. When a teenager has a serious auto accident, it is important to contact a car accident attorney in Sioux Falls right away, because parental exposure to liability may result. The same is true, for the opposite reason, if a car that a teenager was driving hits a person. They also need to contact a car accident attorney in Sioux Falls as soon as possible. The legal issues are complex, when teenagers have auto accidents. For most cases, the issues require the help of qualified legal counsel. When the act is malicious and willful (S.D. Law section 25-5-15) – Willful acts are those that are intended to produce a specific result. An example of this type of behavior would be, if a teenager drives a car into the yard of a neighbor’s house intentionally damaging the garden. Parents of a teenager that makes willful acts, which cause damage, may be sued. Individuals, businesses, government organizations, or churches may file a lawsuit, if any of those entities suffered damage. When the principles of common law apply. When parents know the teenager is not competent to drive or has a history of reckless driving and they still allow the teenager to drive. When parents do not properly supervise teenage drivers. When the teenager drives while working for the parent(s). When the teenage is running an errand for the parent(s) or family. An auto accident with a teenage driver involved is problematic because it can create liabilities for the teenager’s parents. Besides having auto insurance rates suddenly increase dramatically due to the accident, parents may also find themselves being sued for the damages caused by the actions of their children.